The University of Bologna, considered to be the first official university, was established in the late 11th century, and some scholars in need of finances were offered loans. This type of provision was not formalised as a student loan system until 1240 when the Bishop of Lincoln did so using money from the University of Oxford. Many other universities followed suit, but it took until 1951 for the government of Colombia to initiate the world’s first national student loan scheme, known as ICETEX, which is still in (faltering) operation. Over the 1960s and beyond, these arrangements became commonplace and today the higher education financing systems of the vast majority of countries are underpinned by student loan schemes. 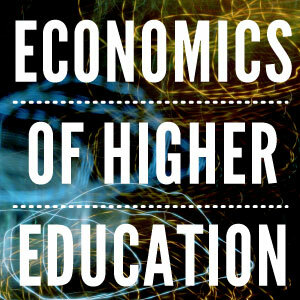 There is a consensus in economics that loans are an essential part of government higher education policy to help relatively poor prospective students pay for tuition and-or to provide income support during periods of full-time study. The reason is that, unlike in many other areas of funding (such as mortgages to finance the purchase of a house), commercial (bank) borrowing by students for human capital investments is unavailable simply because in the event of default a lending agency bears all risk; there is no collateral available to be sold to offset the cost of uncollectible debts. Until 1989 these systems were all characterised by the collection of debt over a given time period, like a mortgage, and are known as time-based repayment student loans or TBRL. However, nearly 30 years ago there began a quiet revolution internationally in higher education financing policy. This happened in Australia with the introduction of a student loan system in which debt obligations are not based on time, but instead depend on the future income of the debtor.